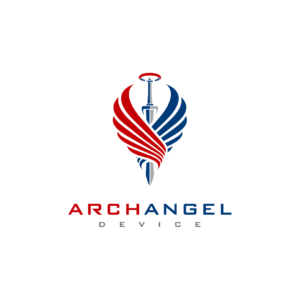 Archangel Device-A Great Holiday Gift! Can’t seem to find that holiday gift? Are you or someone you know In the market for a dependable, versatile, rechargeable flashlight that will keep you safe and visible wherever your adventure takes you? Look no further, with Archangel Device! Brightness and dependability is what every customer looks for when trying to find a flashlight. But, every outdoor enthusiast knows that there isn’t a flashlight that works for almost if not every outdoor situation… WRONG! Guardian Angel has made a flashlight that is designed with every service men and women and adventurer in mind! With many features such as magnet attachment, bright led lights, multi-color flashlight combinations, and multiple flashlight settings, you will be extremely happy if you are biking, hiking, camping, hunting, or on duty. Between the many features and many accessories you can get for the Guardian Angel the possibilities are endless for its uses! If you are an avid outdoorsman or women looking to be safe while doing all of your outdoor activities be sure to check out Archangel to see everything they have to offer! This product is truly a product that will save lives and make a difference in any outdoor situation! Archangel has also just launched their newest version! An even lighter, brighter, and more compact light designed to satisfy all your needs! Only $99.99! Click here to get your Archangel today!